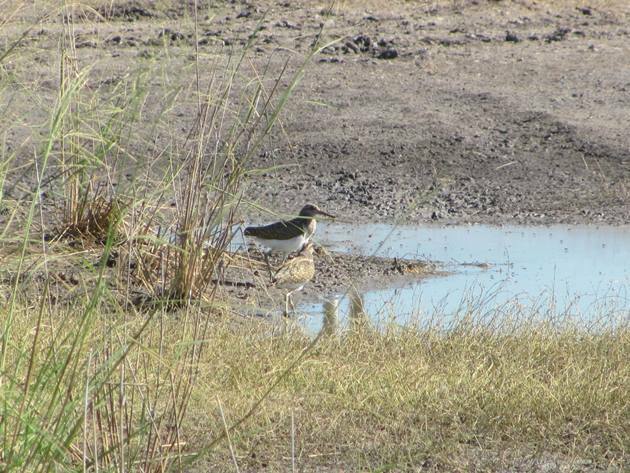 After an incredibly wet start to 2018 as a result of several tropical cyclones and other rain events the land remains saturated around Broome and as a result of this there are several bird species breeding that we don’t even encounter in dry years. The highway into town from the south is not as flooded as it has been, but you are still unable to access the land beyond the bitumen unless you want to do some wading or slopping about in mud! The land is teeming with a huge variety of birds and it is spectacular to drive slowly along the highway observing all of the activity. There are numerous species of birds that have arrived in large numbers and they have bred close to the highway. The most exciting bird of all to encounter in any year anywhere in Australia is the Australian Painted Snipe-Rostratula australis, because there is so little knowledge about this bird and its habits, population and movements. Our first ever encounter was just over seven years ago near Broome. 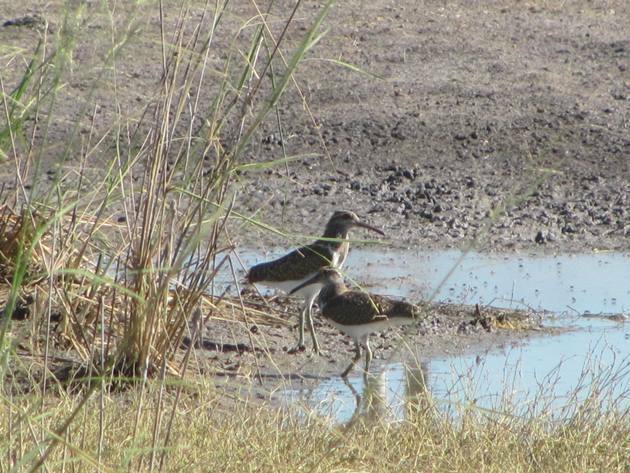 Following on from 2011 we had other encounters of pairs of Australian Painted Snipe, but last year was the first time we had encountered them breeding around Broome. 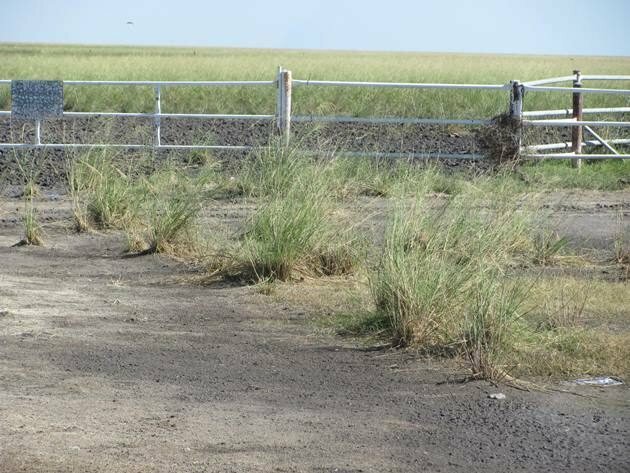 We have recently encountered a family of Australian Painted Snipe only twenty metres from the edge of the bitumen settled beside a bunch of long grass. I don’t expect that you can see two of the Australian Painted Snipe tucked in beside the grass in the photo above, so I have outlined them for you. Most vehicles are driving by at 110 kilometres per hour/68 miles per hour unless they are bird watching and then they crawl along slowly observing all of the activity and taking over two hours to cover ten kilometres/6 miles! We never rush across the flooded open plains when they are flooded, because there is just too much to see. We can’t think of anywhere else in the world where you can literally drive through the middle of a magnificent flooded wetland free of charge. The family of Australian Painted Snipe have been in the same area for some time and each time you really have to look carefully for where they are hiding close to the grass with their eyes high on their heads as they watch the traffic go by. 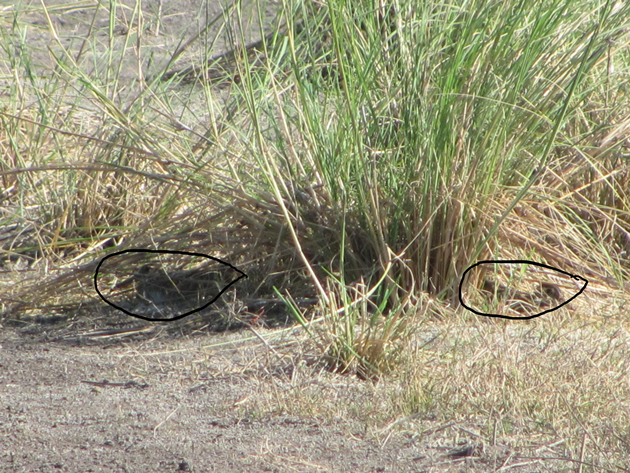 There were four Australian Painted Snipe in this heavily grassed area, but two reversed backwards and only two were visible in the photo that I took. 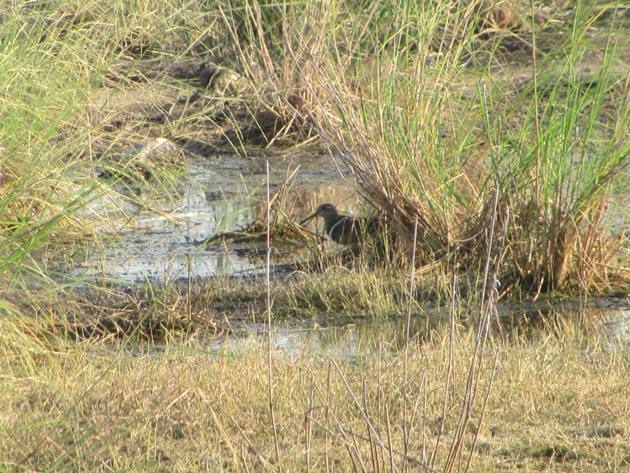 If you were not able to observe the two Australian Painted Snipe in the above photo then that is not surprising at all. I have outlined the two birds for you, so you can see how they can be quite hard to observe even when you are quite close. We drove slowly across the plains and returned to find the adult Australian Painted Snipe tucked up on each side of the grass and once again I took a photo to show the challenge of photographing birds that can hide so well. Their eyes almost give them away, but not easily! As the traffic raced by one of the adult Australian Painted Snipe flew to the other side of the highway presumably as a distraction. It was at this point the two juvenile birds stood up and crossed a puddle to hide in another bunch of grass and I was able to capture a few more photos of a species that there is very little knowledge about. 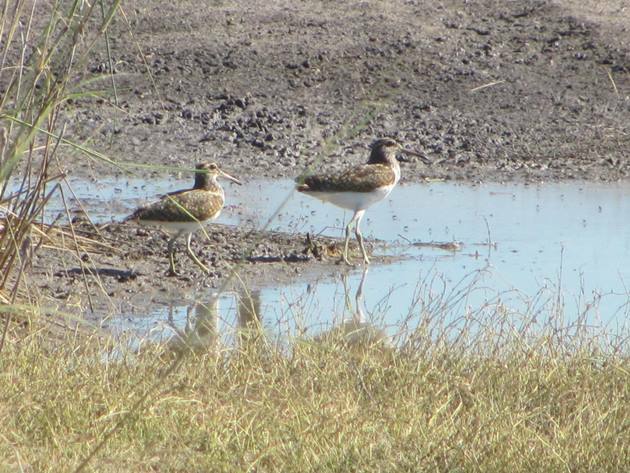 It is incredible that this family of Australian Painted Snipe have chosen to remain within twenty metres of the highway when there is so much land around that has no vehicle access at all. Could it be the pair of birds that attempted to nest last year in the same area? The land offers suitable habitat for miles around and maybe there are many other pairs of Australian Painted Snipe breeding nearby, but for now we only know of this family. Yes, especially when so little is known about the species! I am really getting to love your country! This is just another great reason.. Such a shame your hop from Darwin to Perth could not have been via Broome!